At any given time, there are about 10 million Americans experiencing TMJ dysfunction. What are the symptoms of a problem with the temporomandibular joint? What can you do at home to ease the suffering and perhaps get a better night of sleep? Is there a way that you can find natural relief from this common ailment? We’re about to answer these important questions. If there is something wrong with your TMJ, what are the primary indicators? Here are some of the most common TMJ dysfunction symptoms. 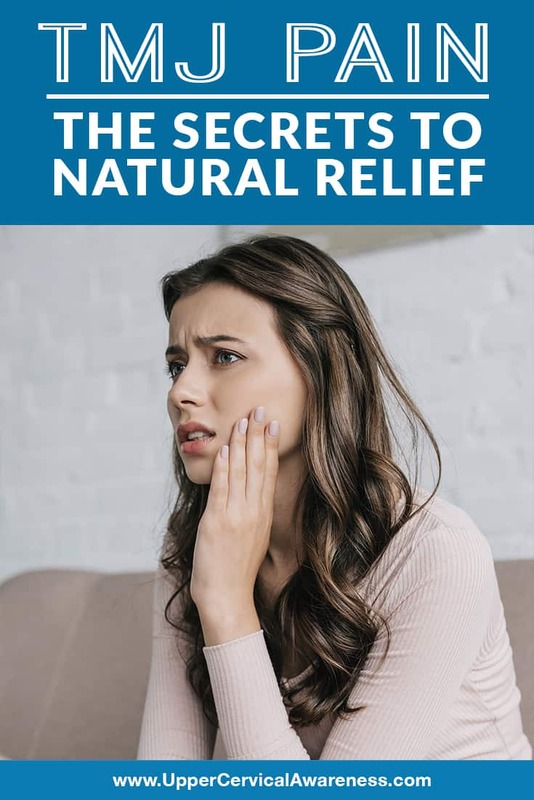 TMJ pain or tenderness – Many people refer to their pain simply as TMJ, although this is actually the abbreviation for the joint itself rather than the name of a health condition. The fact is that the primary symptom of a TMJ problem is jaw pain, so it makes sense that the condition and the joint have become associated with one another. Radiating pain – The pain of TMJ is rarely localized to the jaw. Often the pain radiates toward the ear and down into the neck. Face pain may also occur if the jaw is putting pressure on the trigeminal nerve, which is responsible for the sensations felt in the face. Difficulty chewing – You may experience a decreased range of motion in your jaw, or the pain may make it difficult to perform normal activities like chewing. Abnormal jaw noises – While a popping or clicking sound in the jaw doesn’t automatically mean you have a TMJ problem, it is a common symptom when a person does have this type of condition. Difficulty sleeping – Any time a person is in constant pain, it can be difficult to get a good night of sleep. TMJ is often also accompanied by sleep problems such as OSA (obstructive sleep apnea) or bruxism (grinding of the teeth). Earaches – TMJ problems are frequently accompanied by earaches or other complications of an ear failing to drain properly. There is much more to a TMJ problem than just jaw pain. So how can you cope with the diverse symptoms this condition causes? In our next section, we’re going to look at some home remedies for you to try. Here are a few things you can do at home to help mitigate the symptoms of a mild to moderate case of TMJ dysfunction. Ice your jaw and neck – Pain is frequently related to inflammation. Ice can help to reduce inflammation and thereby reduce pain levels. Remember to ice both your jaw and your neck, especially if you are experiencing radiating pain. Never have the ice in direct contact with your skin. You can wrap an ice pack in a hand towel. Rest your jaw – Sometimes TMJ pain is simply due to overexertion. This can particularly be the case if you recently had dental surgery or surgery that required you to be on a breathing tube. Having the mouth propped open for long periods of time can lead to strain. A couple of ways to rest your jaw include eating soft foods or liquids for a few days and avoiding strenuous jaw activities like singing. Massage – Sometimes massage can help loosen the sore muscles around the jaw. This can particularly help if your jaw pain is related to stress and constant tightening of the jaw. You can use your own fingertips. Start at the mouth on both sides and work your way back to the TMJ. You should be able to feel a hard, flat surface near your ears. This is where the joint is located. Stretching – If you are experiencing a reduced range of motion, stretching the jaw may be able to help you regain some range of motion in the TMJ. While self-care at home can help to relieve pain, a chronic case of TMJ may require additional assistance. Where can you turn? One source that some are finding helpful is upper cervical chiropractic care. This makes more sense when you consider how the neck, jaw, and ears are all connected anatomically. The top bone in the neck is called the atlas. This bone is responsible for balancing the head. It is also responsible for more than half of the range of motion you have in your head and neck. When the atlas is out of alignment, the surrounding soft tissue shifts. This can dramatically affect other bones, muscles, and nearby nerves. For example, when the atlas is out of alignment, it can affect the ability of the ears to drain properly, leading to earaches. It can also throw off the proper alignment of the jaw and irritate the facial nerve. Additionally, a misaligned atlas may affect sleep because it can put pressure on the brainstem, which is responsible for the body’s involuntary processes, including going to bed and waking up. Upper cervical chiropractors are subspecialists in the chiropractic field who focus on the atlas. Precise measurements are taken using diagnostic imaging, and this leads to very gentle adjustments that do not involve any twisting or “cracking” of the neck. As a result, adjustments are safe and long-lasting, giving the body the time it needs to heal naturally. For many patients experiencing TMJ along with an atlas misalignment, correcting this underlying issue has helped to relieve symptoms. If this sounds like a natural therapy that you would like to try, contact a practitioner near you. You can locate one of our preferred doctors using the search feature on this website.